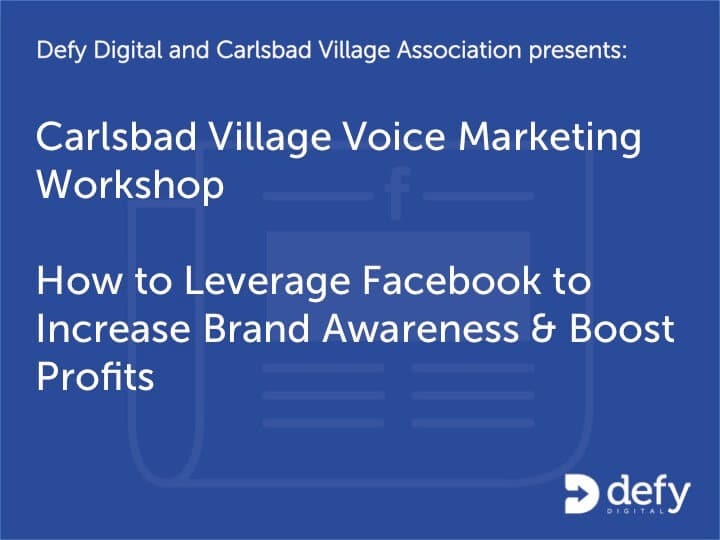 Post Update – Thank you for attending the March Carlsbad Village Voice Marketing Workshop. It was great to see you! To request the presentation again, click here. If you have any questions on the material we covered, please contact us. Don’t hesitate to contact us if we can help with your unique situation. If we are not able to help you, we can connect you with someone who can. It’s a no-lose proposition. What are you waiting for? You can reach us at 760-576-4434. Do you want to generate more awareness, more new and repeat business, and more advocates? Do you need a plan to get you started? How to increase awareness, generate leads and create advocacy using Facebook. Meet us at Village Voices meeting for coffee, donuts, networking and little Facebook marketing chat.